A new 3D bioprinting technique could make it easier than ever to artificially create human organs and tissue, including blood vessels. Researchers have developed a new 3D bioprinting technique which is precise enough to create human blood vessels. A team of researchers from the University of Colorado has developed a groundbreaking 3D bioprinting technique which allows “programmable” control over objects. With this method, researchers can now explore the possibility of 3D printing artificial blood vessels and organ tissues. In their study, published in the journal Nature Communications, the researchers outlined how their 3D bioprinting technique mimics the complex geometry of highly-structured yet pliable blood vessels. To date, finding artery and tissue replacements for hardened blood vessels often associated with cardiovascular diseases has been a major problem faced by medical scientists and surgeons around the world. 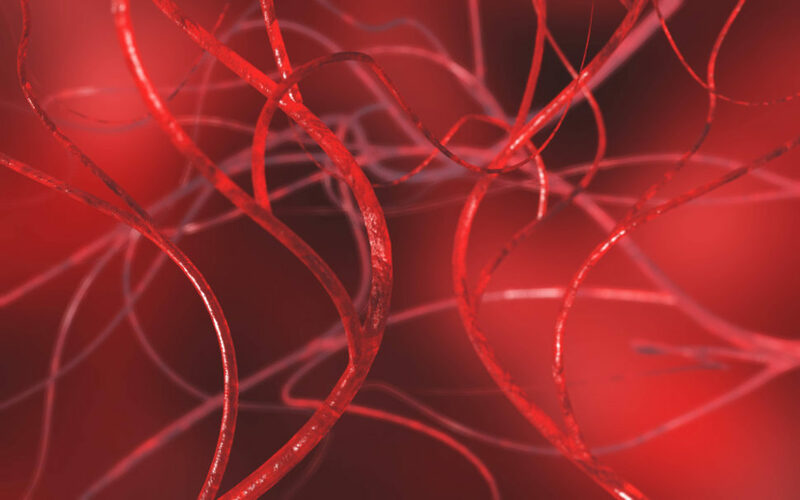 However, the possibility of 3D printing these blood vessels and tissues could be a significant game changer. Yin and his team have reportedly taken advantage of oxygen’s role in setting the final form of the 3D-printed object. According to the researchers, having tight control over how the oxygen travels and its exposure to light give them the freedom to manage which part of the 3D-printed structure has to be solidified or softened. They also do this without jeopardizing the complex geometry of the structure. “The challenge is to create an even finer scale for the chemical reactions. But we see tremendous opportunity ahead for this technology and the potential for artificial tissue fabrication,” Yin went on to say. The researchers tested their 3D bioprinting technique and were able to generate identical copies of printed objects but with varying rod rigidity. The printer can also work with biomaterials as tiny as 10 microns. The team is now working to improve the capabilities of their bioprinter, making it suitable for the required biomedical range in the future. What other hurdles do scientists have to overcome to develop the ultimate 3D bioprinting technique that can 3D print human organs?